Planning a wedding around any holiday can have its pros and cons. They can add a certain celebratory panache or they can add a little extra stress. When I got married literally two days after Christmas, I became hyper-aware how unique holiday weddings can be with guest count, travel situations, and even the budget. Thankfully, here are some great tips for planning a holiday wedding to make sure everything is merry, joyful, and bright for your big day! 1. Notify guests far in advance. 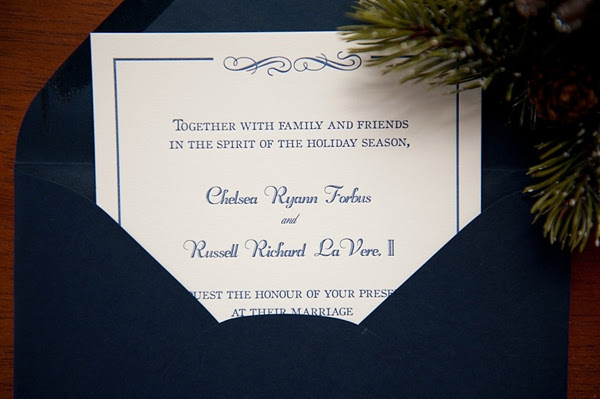 For a non-holiday wedding, sending out save the dates is said to be best around 6 months, but for holiday weddings, it's recommended to send out save the dates between 9-12 months. Allow ample time for people to make plans, to get excited about the special day, and of course, save money for travel or accommodations. 2. Make travel easy. Reserve room blocks, give directions, and set up wedding websites with detailed information. Remember the tunnels and bridges around the key holiday days can get a bit overwhelming for out-of-towners, so try to make this little detail easier for your loved ones. 3. Try to be a little extra generous with your bridal party (where you can). Whether it's treating their makeup applications, providing meals, or just very expressive in gratitude, the little special touches won't go unnoticed. Your ladies and gents are possibly spending time away from their own families to celebrate and support you, so acknowledge that wherever possible! 4. Tie-in local traditions. While Hampton Roads may not have whoa-hello-winters, we have some pretty fabulous holiday traditions. Williamsburg has the new-every-year colonial holiday decorations and Busch Gardens' Christmastown, and Virginia Beach has the Holiday Lights at the Beach. Share your favorite holiday happenings while your guests are in town to get everyone in the spirit. 5. Expect additional fees. Some wedding vendors may be closed for the holidays for obvious reasons but may offer services for a convenience fee. It's not to nickel and dime-- just know they're working to make your day wonderful around their personal life plans! If you happen to have a holiday-themed wedding, you can likely save a few bucks on decorations if your venue already decorates for the holidays, so those additional holiday fees might not even be noticed in the end. Are you a holiday bride? Share your thoughts in the comments!